Benz Keygen There are 15 products. 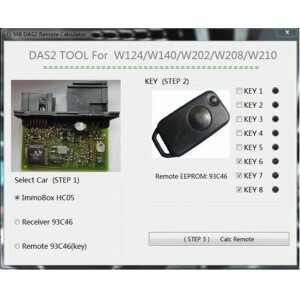 From 2009 April, MB company changes the interface of DAS Xentry, you can login new Xentey system with the authorized key. If you do not have this key, you can still use the old type of DAS software. This is the "Developer" key generator used to raise MB DAS to "developer" mode, as used in the factory. With this key you will be able to unlock many usually locked features on numerous models,eg: enable DVD viewing whilst driving removing speed limiter restrictions. We provide the calculator service. That means you provide our EIS data, we will generator Key data back to you. This service one time cost 149.99USD. If you need calculate more than one time, please place order quantity to the times you want.